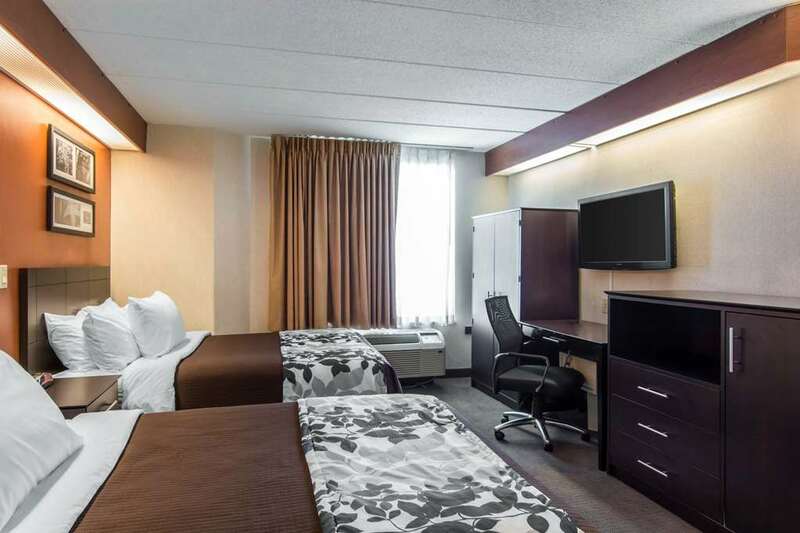 The pet-friendly Sleep Inn Lake Wright-Norfolk Airport hotel in Norfolk, VA will give you a simply stylish experience. We are close to attractions like the Norfolk International Airport, downtown Norfolk, Virginia Wesleyan College and the Nauticus Maritime Science Center. Enjoy free hot breakfast, free WiFi and free airport transportation. Your guest room offers warm, modern designs, and includes TVs, refrigerators, coffee makers, irons and ironing boards. Also, earn rewards including free nights and gift cards with our Choice Privileges Rewards program. VA Bch Pavillion Conv Ctr.